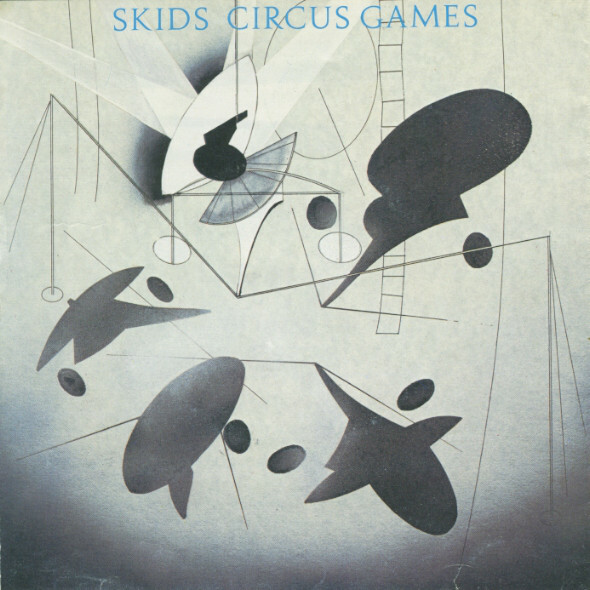 The followup album to “Days In Europa” was actually my point of entry with The Skids, back in 1981, when I had heard chasinvictoria’s copy of Virgin’s “Cash Cows” compilation. I had liked the song “Arena,” but truth be told, I had been seriously dazzled by the likes of hearing Japan and The Human League for the first time, and well… you can imagine that The Skids barely registered. So it remained for another 35 years before a copy of “The Absolute Game” got play for the first time with me. Last album, I had commented that the B-side “Out Of Town” had seemed too strong to squander as a B-sidr. The band must have also thought so too, since they re-recorded it for this album. While, I in general prefer Nelson and Leckie to Mick Glossop, his work on this version only took a back seat to Nelson/Leckie in that the muddled middle eight on this version was an Achilles heel, where the original version was an across the board success. 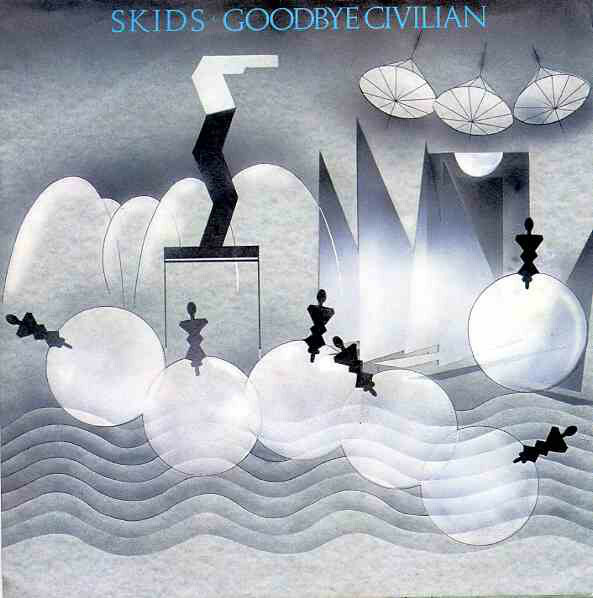 “Goodbye Civilian” was a cheerful bit of pop for this mostly overstating band of martial rhythms and chanting. The light touch on the synthesizers with the subordination of the guitar paid off in spades here. One was left with an effervescent construction that seemed to leap in the air where much of The Skids canon favored combat boots to ballet slippers. Even Jobson curtailed his traditionally chanted martial vocals to something a bit more adroit. 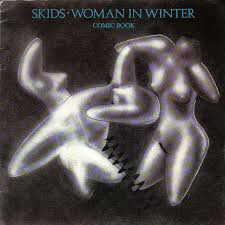 The third single, “Woman In Winter” was perhaps not the most obvious choice for a single. 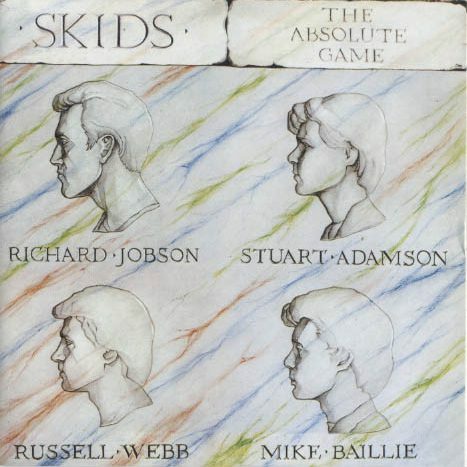 The subtlety here marked this as being more of a deep cut; its pleasures are less immediate and obvious than most of The Skids singles, which usually embed themselves deeply in one’s cortex. I was a bit taken aback, that the song in the power position of side two, track one of the LP version of the album had not bee pulled as a single instead of “Woman In Winter.” The chanted rondo of “Hurry On Boys” may have been plowing an obvious furrow for this band, but the addition of didgeridoo added an element X that suffused it with a barely restrained anthemic quality redolent of The Skids primal DNA. Stuart Adamson’s fiery leads here all but telegraphed his hand for Big Country, which was waiting in the wings to replace The Skids in a short time. Indeed, much of this album puts me in mind of Big Country, albeit with more interesting vocals/lyrics. At least the album closed with the complex, yet still rousing “Arena.” The staccato verse structure was mated with a melancholy for a fascinating melding of vibes and style. By the time the massed male chorus is coming home on the outro, one is left with a vivid picture of what anthemic Post-Punk could sound like should another bands take up the gauntlet thrown by The Skids for their entire, brief career. This entry was posted in Record Review, Scots Rock and tagged 1980, 2008, DLX RM, Mick Glossop, The Skids. Bookmark the permalink.